“Bidú Sayão is herself a diminutive package, but her impact on this performance is immense. 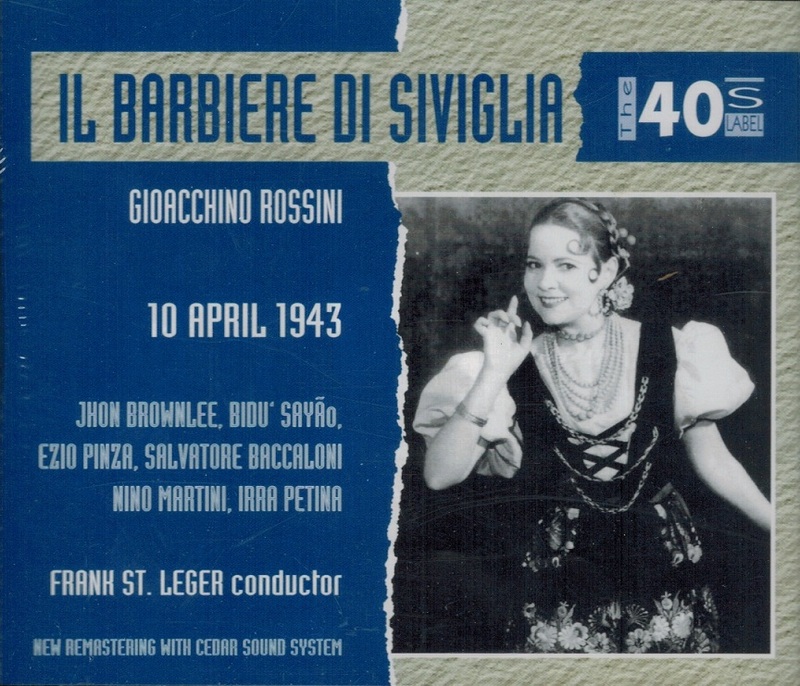 Could any Rosina excel Sayão’s portrayal in this broadcast?....She turns every moment of song, every word of recitative, to account and makes Rosina a vivid personality. And how fluently she sings the music, her tone constantly pure and lovely, the fioriture not only accurate but given a musical life of their own Ä every phrase is knowingly shaped....In the lesson scene she stays with Rossini (at least his Semiramide) and her 'Bel raggio' shows her mastery of bel canto." “Nino Martini began his career as an opera singer in Italy before moving to the United States to pursue an acting career in films. He appeared in several Hollywood movies during the 1930s and 1940s while simultaneously working as a leading tenor at the Metropolitan Opera in New York City. Martini possessed a warm lyric tenor voice that had a wide range and considerable amount of coloratura facility. 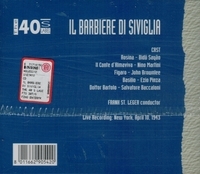 Martini studied singing under Giovanni Zenatello and Maria Gay. In 1925 he made his professional opera début in Milan as the Duke of Mantua in RIGOLETTO. Shortly thereafter he toured Europe as a concert artist appearing in many of the continent's major music centers. While in Paris he was discovered by the film producer Jesse Louis Lasky who engaged him for several Italian language speaking roles in short films. In 1929, under the influence of Lasky, Martini immigrated into the United States to pursue a film career. His first appearance was in the Paramount Pictures all-star revue film PARAMOUNT ON PARADE (1930). Further forays into film were postponed, however, as Martini decided to continue to pursue an opera career. He made his U.S. opera début in 1931 in Philadelphia. This was followed by several broadcasts of opera for radio. In 1933 Martini joined the roster at the Metropolitan Opera, making his début on 28 December, again as the Duke of Mantua. He appeared in several more productions at the Met over the next thirteen years, singing the roles of Alfredo in LA TRAVIATA, Edgardo in LUCIA DI LAMMERMOOR, Ernesto in DON PASQUALE, Rinuccio in GIANNI SCHICCHI, Rodolfo in LA BOHÈME, and Ruggero in LA RONDINE. 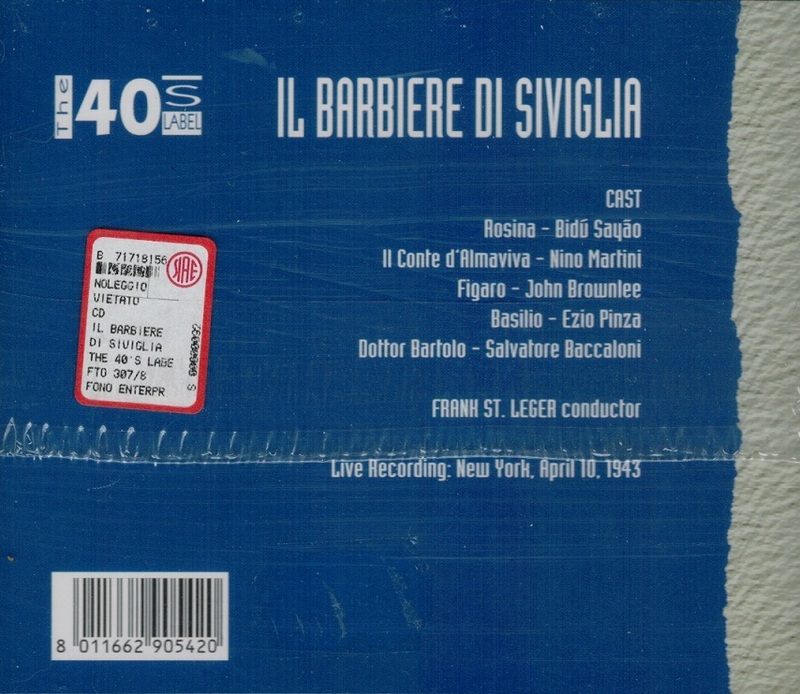 His last performance at the Met was as Count Almaviva in IL BARBIERE DI SIVIGLIA on 20 April, 1946.